How LOLcats Did It A good case study is LOLcats. You’ve probably seen this meme. It consists of a silly picture of a cat photoshopped with a poorly spelled phrase meaning to convey what the cat is saying or thinking. 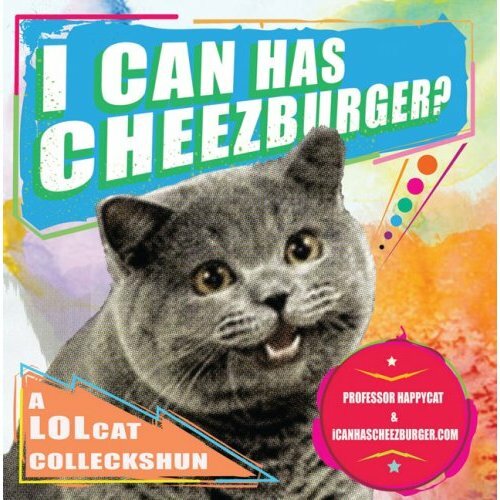 The “I Can Has a Cheeseburger” meme is one of the earliest LOLcat memes—and the meme that helped launch the LOLcat brand and the Cheeseburger Network. The Cheeseburger Network The Cheeseburger Network is a Seattle based Internet startup. The man behind the Cheeseburger Network is Ben Huh—the company’s CEO. Although he didn’t create the site, he did connect its owners with venture capitalists and helped turn the company into a viable enterprise ecommerce platform. The site contains 50 blogs, including LOLcats, I Can Has Cheeseburger, FAIL Blog, and the Daily What. The site contains a lot of user generated content, meaning that users are actively participating in the media that is getting created and shared. The site lives by its motto—“All the Funny in One Place.” But the Cheeseburger Network is also highly profitable. In 2009, the site made $4 million in revenue. The site is valued at $35 million. But with 16 million visitors a month, it’s not a surprise that the Cheeseburger Network is now worth millions. Let’s Start With The Basics… What Is A Meme? In its simplest form, a meme is an idea, phrase, image, or element passed around from one person to another. Given the rapid speed in which people share information on the Internet, many memes live, breath and eventually die on social network sites and online media outlets. And it’s pronounced meam—and rhymes with cream, seam and theme. But How Do You Turn A Meme Into A Profitable Ecommerce Platform? Every company wants to create something that goes viral and becomes part of the zeitgeist. Essentially, every company wants to create a successful meme. Maybe you are familiar with the concept of being “iced”—when someone presents you with a Smirnoff Ice, meaning you must take a knee and chug. This online meme directly promotes the sale of the sweet alcoholic beverage. This is an example of a meme incorporating a well-established brand. But how do you turn a silly meme into a profitable business? A good case study is LOLcats. You’ve probably seen this meme. It consists of a silly picture of a cat photoshopped with a poorly spelled phrase meaning to convey what the cat is saying or thinking. 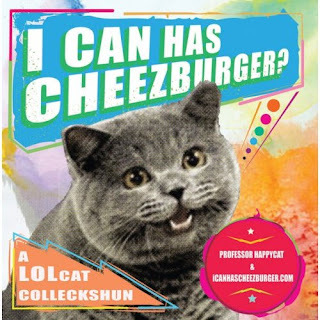 The “I Can Has a Cheeseburger” meme is one of the earliest LOLcat memes—and the meme that helped launch the LOLcat brand and the Cheeseburger Network. But the Cheeseburger Network is also highly profitable. In 2009, the site made $4 million in revenue. The site is valued at $35 million. But with 16 million visitors a month, it’s not a surprise that the Cheeseburger Network is now worth millions. The Cheeseburger Network makes most of its money through advertising dollars, accounting for about 70 to 80 percent of the company’s revenue. But the Cheeseburger Network has been able to take the meme offline through popular merchandise. It’s now common to see LOLcat t-shirts and postcards. The company has also published books, including the New York Times bestseller "Teh Itteh Bitteh Book of Kittehs." LOLcats and the Cheeseburger Network shows that memes can become part of popular culture in such a way that it can lead to the launch of a highly profitable company. If people fall in love with a meme, they might be willing to buy products related to that meme. Websites like LOLcats are highly addictive, so it’s possible to create a successful company through a steady stream of ad revenue. Pay attention to the memes that are organically created on the Internet and act like Ben Huh and look for the potential to expand. Rachel Danburg writes from her hometown of Los Angeles, CA. LOLcats Are Elevated to Art at "Teh Exhibishun"